A few months ago, he was mocked and taunted. But, today everyone is talking about him. Has Rahul Gandhi finally arrived on the political stage to stake claim as a future leader? Or, it’s too early to say? 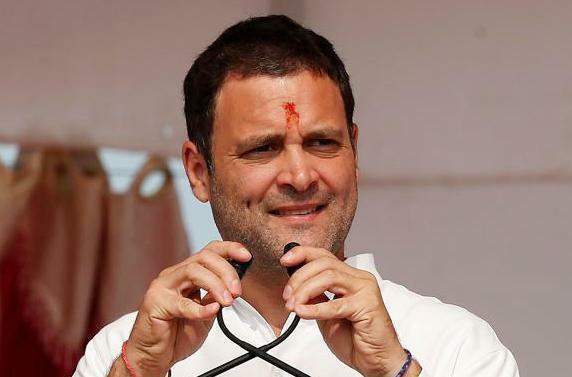 Devi Prasad Misra: While it’s true that off late Rahul Gandhi has gained some popularity than before, still he is not seen as a leader who can run the country. He is way behind Narendra Modi who is not only a national leader but an international leader as well. Biswwaraj Nayak: A fool sometimes may occupy the center stage because of his follies. Coincidental circumstances may sometimes drag him into our center of attention. But, in no way that makes him a leader. Upasna LB Mohapatra: Efforts of the PR team matter. Media intervention, interpretation and portrayal matter. Politics is a gamble; it’s ALWAYS too early to say. No matter who you are, you just never know. Umasankar Sahu: Yes, people are talking about him, but in what context? It would be a mistake for the Congress to elect him as the Party President even though we don’t have any right to interfere in their internal matter. Rahul does not have a good team of advisors. Unless he replaces the old guard and appoints real talent to assist him, he can’t have the success. Also, as keeps repeating mistakes, it could go against him in the long run. It’s too early to say that Rahul Gandhi is emerging as a strong leader in Indian Politics. Vijaya Singh: Pretending to be what you are not, doesn’t go well with people. No one is getting fooled. He has no experience in Government as he always avoided taking responsibility. Even his performance in the Lok Sabha was not encouraging. Whenever he speaks, he makes a mockery of himself. How can he become a leader of this country? Amit Kumar Dash: If people think and believe that Rahul Gandhi is a dumb or ‘Pappu’, it’s just because of the negative perception created against him by the BJP IT Cell and Social Media. If today, he is getting some traction, it’s because of the anger against Modi Govt and its policies. In future, it may not be a victory of Rahul Gandhi, but certainly a defeat of Modi-Shah. Ajoy Das: It’s too early to say. He lacks leadership quality. He was never sincere in the Parliament. His replies are boring and irrelevant. He is very hot headed too. He sounds very immature. I am not at all convinced about his ability to lead the country. Charulata Panigrahi: He has been in the news because of his Temple visits during the Gujarat polls. Nobody sees him as a future leader. As BJP has started to face anti-incumbency heat, people are talking about Rahul Gandhi. It’s not that only he was subjected to taunts or mocks. Who other than PM had to suffer the worst because of slander campaign against him over the years? Bijay Kumar Maharana: BJP is paying it back to the Congress, which has targeted Modi over the years. But, the negative campaign will backfire. In politics, everything is possible. See how the same party which mocked Rahul Gandhi, is now busy discussing about him. Chakradhar Sarangi: Absolutely NO. He was not born to be a leader. It’s 2017, not 1947. The leader, whose life, education, religion, travel details everything remain secret, can’t win the trust of common people. He is a reluctant leader; can’t dedicate full time to politics. Rather, he has made himself a Joker. Jagannath Satapathy: Funny and unpredictable things happen in Indian politics. People are emotional and expect overnight changes. In 2009, Rahul Gandhi was being credited with every electoral win secured by the Congress. But, Anna movement, Baba Ramdev’s agitation and Kejriwal’s emergence have changed things forever. Modi took full advantage of it and turned Rahul a “big joke” before the public. It hardly matters whether he is eligible to lead or not. The sycophants in the Congress can’t afford to dissociate themselves from him. However, growing resentment among the people and anti-incumbency against the present Govt may help Rahul Gandhi to rebuild and reinvent himself. Kailash Behera: He struck the right chord when he sought blessings of Dr. Manmohan Singh and Pranab Mukherjee before filing the nomination and drawing equilibrium between the old guards and young Turks. He has matured from tearing apart the decision of the stalwarts to tearing into the heartland of the ruling party. His speeches are more cohesive and actions are based on the concurrent socio-economic scenario of the focused state. The outcome of Gujarat election will be an acid test of his maturity. Fingers crossed to watch his capabilities in steering the ailing ship. 2G Verdict fuels speculations of DMK-BJP Alliance!